By LUDWIG VON KOOPA - We finally encounter our traditional foe, one way or another. The epic story last had Larry Koopa looking at the TV monitor in a different part of Rio de Janeiro International Airport (otherwise known as Galeão International Airport) than where Team Koopa was in Parts 1 and 2. I guess all of our activities were suspicious to the humans. You should read all three of those parts (in chronological order), because it's a great read and easier than me explaining all of the zany stuff that's happened in the story so far. Anyway, Larry seemed excitable but unnecessarily vague. Fortunately, his weird behaviour functioned as a decent cliffhanger for KoopaTV article publishing purposes. Let's continue with the story for Team Koopa's escape from Rio de Janeiro, Brazil, after our Olympics training! “Yoshi is green! And has scales!” Bowser Jr. said. “I bet half of CNN's viewership comes from airports like this one.” Ludwig snarked. 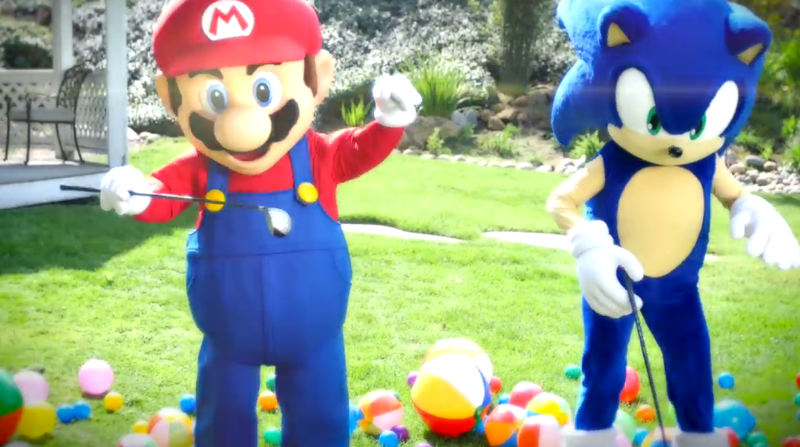 “Nah, look, it's Sonic the Hedgehog and Mario!” Roy Koopa proclaimed, finally looking at the TV monitor. Are they... at a resort, slacking off? “This is what passes for good TV nowadays?” Bowser muttered. “Did CNN ever find that plane?” Ludwig giggled. The other Koopas didn't seem to know what he was referencing. They must not watch human television, though Ludwig barely does either. “Hey, someone figure out where they are! I would, BUT MY SMARTPHONE BROKE. WAAAAAAH.” Bowser Jr. cried, trying to sound commanding but failing to do so. Ludwig kept watching the CNN report over Bowser Jr.'s screaming. This is the kind of garbage put on the mainstream media, instead of the important news that the socialist Brazilian president is being impeached. “The wuzzat?” Bowser asked, blinking. He appeared to be more surprised by Wendy's competence than the fact that his foes were at that particular place. “The... other side? Wh-What do you mean...?” Ludwig nervously quivered. Larry Koopa got out a map of Brazil, and Wendy pointed out what she meant. 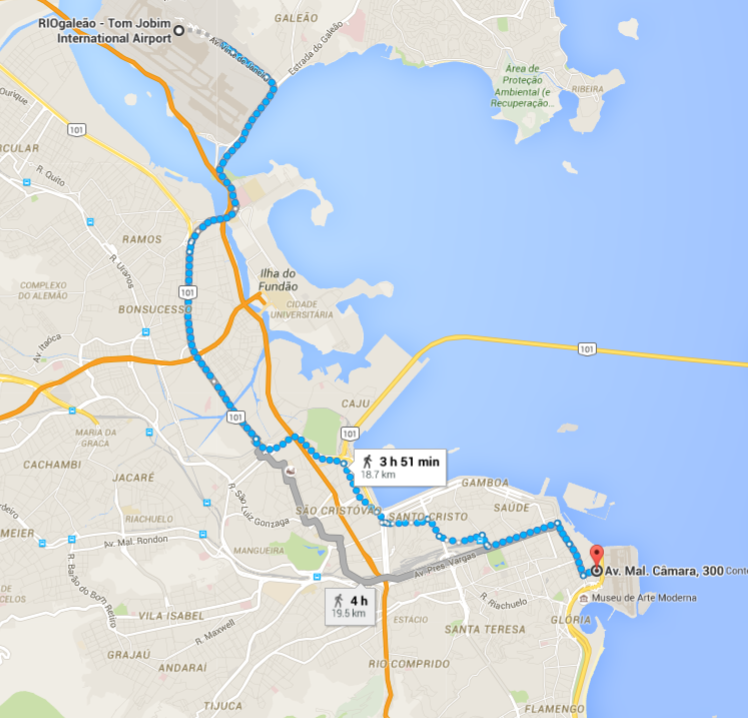 “It also happens that it's next to the Santos Dumont Airport, the second major airport in Rio de Janeiro. After the one we're in now.” Wendy said. Ludwig was very visibly (and audibly) pissed off. “We got a good deal on the tickets.” Bowser sheepishly said. Ludwig was going to scream again, but internally realised that he would probably have done the same thing as his father if he was in that situation. Instead, Ludwig pouted and firmly planted himself on a surprisingly cushy airport chair. The Koopas decided that Wendy, Bowser Jr., Roy, Larry, and Ludwig would take a shuttle out of Rio de Janeiro International Airport and to the Santos Dumont area. Once there, Ludwig and Larry would split off from Bowser Jr., Wendy, and Roy, and go to the Santos Dumont Airport and attempt to negotiate an alternative way out of Rio de Janeiro and Brazil as a whole. Meanwhile, Wendy, Roy, and Bowser Jr. would raid the Novotel and do... something, to Mario and Sonic. First, they would have to figure out if the so-called “heroes” were still there. It was entirely possible that the CNN report wasn't current and was reporting a previous story. None of the Koopas could actually hear what was being said, and the closed captioning was in Portuguese. Larry tried pulling Ludwig from the chair, but Ludwig stuck his own shell-spikes into the back of the chair. “King Daaaaaad! Ludwig is being lame!” Larry whined. Bowser stomped up to Ludwig and Larry. “Get off. Now.” Bowser grunted. “Hahaha! Ludwig get wrecked by dad!” Bowser Jr. pointed and laughed at the miserable Koopaling. Ludwig didn't know if his consistent, perpetual headache was because of the Zika virus, or if it was because he was around annoying people all the time. The Koopalings (and Bowser Jr.) went to try to find the shuttle establishment. They found an air-conditioned bus service ran by some outfit named REAL, but it was closed for the night. Ludwig wasn't disappointed, because he expected this would happen. The kids went back to their father back inside the airport, but when they found him, he was already asleep. It was now Thursday, a bit before noon. The Koopas had breakfast and repeated their plans. Bowser would stay in the current airport because he was still expecting contact from Kamek. Ludwig wondered why he had to be tasked to go to Santos Dumont Airport to negotiate a flight out of Brazil to somewhere out of that country if they were already expecting Kamek to show up and bust them out. Apparently, going to KoopaTV headquarters in Sierra Leone was no longer part of the evacuation plan, and they wanted to get to somewhere safe in the Southeastern United States and then warp to Koopa Kingdom. “He's obviously taking his sweet time.” King Bowser explained. He appeared to be cracking his knuckles as he said that. The parties would communicate via burner phones that they sold at the airport. Bowser Jr. was upset that they weren't smartphones. “It's not meant to be a replacement, dimwit.” Roy said. The five kids waved their father bye, and went back to the REAL shuttle service. Was it pronounced like the Brazilian currency? Like the English word? Or was it supposed to be Arr-Ee-Ayh-El, or just the letters? Did it stand for something? Regardless, they managed to get on and pay the guy in charge of the bus. He thankfully knew English, probably because he dealt with a lot of English-speaking tourists. Wendy pointed on the map that they wished to get to Santos Dumont Airport, and off they went. Ludwig hid his rash-ridden face from the driver. He figured that it'd be better to keep it a secret from the local Brazilians that he had Zika. Ludwig snoozed through the whole shuttle, which isn't as bad as it sounds because going by bus is a substantially shorter amount of time than walking there. It was Thursday afternoon when the Koopas arrived, and they departed the bus and split up. Larry and Ludwig got to the arrivals/departures board at Santos Dumont Airport, and were quite puzzled by what they saw there. They did not expect THAT! What were Larry and Ludwig puzzled at? Well, you could look up information about the airport and figure it out, or you could just wait for Part 5 to come. Wait... patiently! Don't let searchable details spoil the story, you punk. Part 5 is right here! Read it before clicking the hyperlink right below this line. Part 6 is here. It's the final part. Don't spoil by the story by not clicking and reading Part 5 first, though. Ludwig barely watches human television, so he shouldn't have been snarking about the other Koopas not doing so in his narrator role. Now once again I need to nbe afraid of the Zika virus. Did you... try that again? Did you see my post in the Splatfest topic? I'm once again a mother-to-be. ...yeah stay out of Brazil. Thank you. So many signs were happening for me this week. The online store I bought my Splatoon art book hosted a contest for Japan's Children's Day holiday where you can win 2000 yen in store credit to use for the store. I won it and back then I wonly confirmed my pregnancy through the home kit and not by the doctor yet. I thanked the store for my win and how it relates to me soon having a child of my own. It is also mere days from Mother's Day. Friday is when I got to the doctor and they confirmed it for real. I got so excited but in my family we usually keep the pregnancy hidden. That was so hard for me to keep in so I thought a good compromise was to say it online instead where no one knows who I am in real life. In my first pregnancy I was so stressed from not being able to tell anyone. Now I feel so much calmer that I get to tell to more people besides my direct family. Whichever Splatfest team wins is okay for me in the long run. Because then I get to buy adorable onesie costumes for infants as well. I wonder if they make cute video game related onesie costumes for babies such as Yoshi or Pikachu? My father said he can't wait to make a party in my parent's house for the new child so it fits Team Fancy party as well. Erm... so the online store contest thing was recent? Keeping pregnancy hidden sounds, uh, absurd. One, because it's bizarre that such an infrequent event has a family tradition, and two, because it's not going to be a secret for long anyway. And it makes no sense to keep it a secret. Wouldn't you want family support? Well, I mean, you clearly do want that. So wot's the rationale? KoopaTV used to sell a Baby Creeper back when our store was existent. Same price as this Pikachu-inspired onesie, but we also included a free, non-refundable baby while supplies lasted. Thanks so much for showing me those onesies *bookmarks them*. If this was a TV sitcom, I would be watching every episode. Why doesn't Nintendo jump on this idea and start filming? Are they afraid of contracting the Zika virus? Ah man, my life is a sitcom. Well, Nintendo prefers to make games based off what we do, though usually it's in our own world and not Earth. They're not always the most accurate productions, but they have some spy cameras or creeps around everywhere in the Mushroom Kingdom getting ideas. I assume the same for other places too, like Hyrule.